Only the best racers make it to the podium at a highly competitive event like the 24 Hours of Dubai. 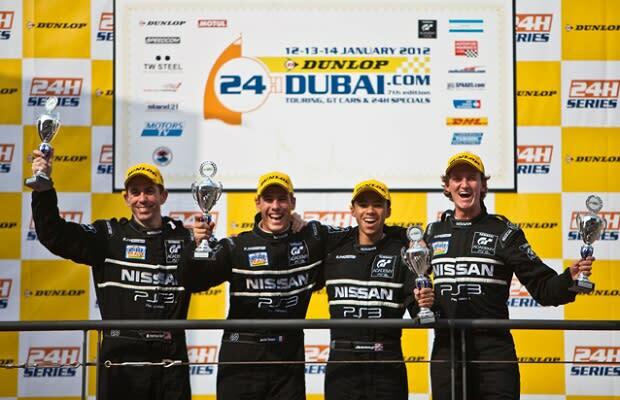 That&apos;s what makes this third place finish for the Nissan GT Academy team so impressive. A year ago these guys had only ever raced in their living rooms with their trusty Playstation 3s. 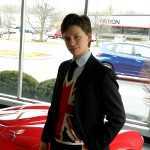 These were the winners of the Nissan Playstation GT Academy, an online Granturismo 5 competition, and they have been training for this event for the past year. While they may have had the theory and reaction times down pat, we think getting used to the g-forces of professional racing took up most of their prep time. The cockpit of a race car is not at all like a couch.